This collection consists of records relating to Harold W. Pote and his service on the President’s Foreign Intelligence Advisory Board. 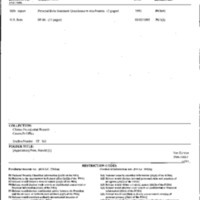 Clinton Presidential Records relating to Harold W. Pote consist largely of personnel files relating to Pote’s appointment as a member of the PFIAB. 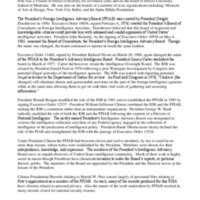 Pote was re-appointed to the President’s Foreign Intelligence Advisory Board by President William Jefferson Clinton on September 30, 1993 and served throughout the Administration.